PB 2 - Designed for easy mobility! Comfortable enough to wear all day, the PB2 commercial receipt printer is just the ticket for delivering cost-effective receipt printing wherever and whenever needed. 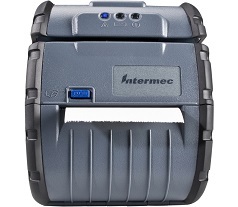 Long-lasting, field replaceable batteries and easy compatibility with Intermec CN3, 700 and CK3 handhelds makes it ideal for DSD/route accounting, field service and retail queue busting.